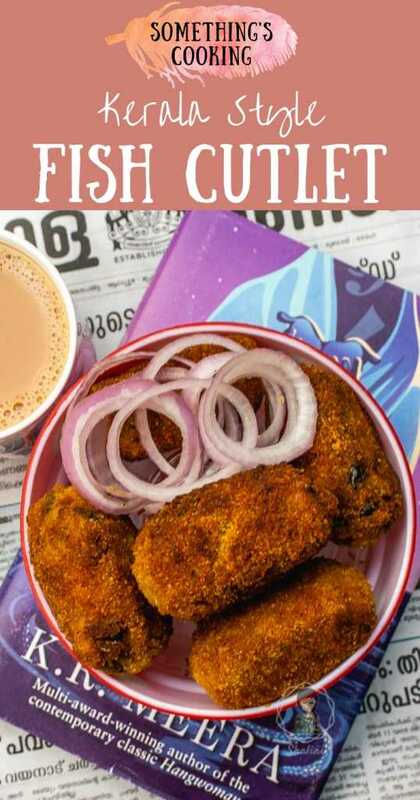 One of the best party appetizers and snacks for evening tea, Kerala style Fish Cutlet calls for a simple and quick recipe. Take a bite of this ‘crunchy on the outside, soft on the inside’ cutlets and there will be no looking back! I have always felt that Fish Cutlets are apt for the Lays commercial caption – No one can eat just one! 🙂 I am a huge fan of Kerala Style non-vegetarian cutlets and give me a dozen, I can clean up the plate!!! But there was a period in life when I never tasted any type of patties, samosas, cutlets or even Shawarma. I can’t even think about having been too late for these mouthwatering foods. Ah, what a miss! 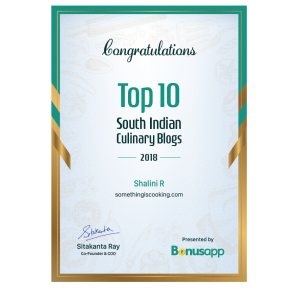 Things changed for me when I tried the Fish and Beef cutlets from the popular restaurant chain in Kerala – The Indian Coffee House. 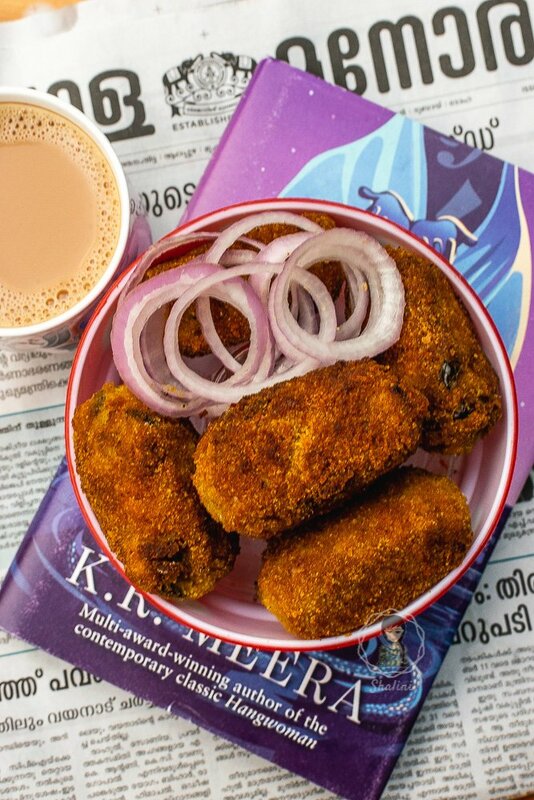 The cutlets are served with pickled beets and onions and it is a must-have on your visit to Kerala. 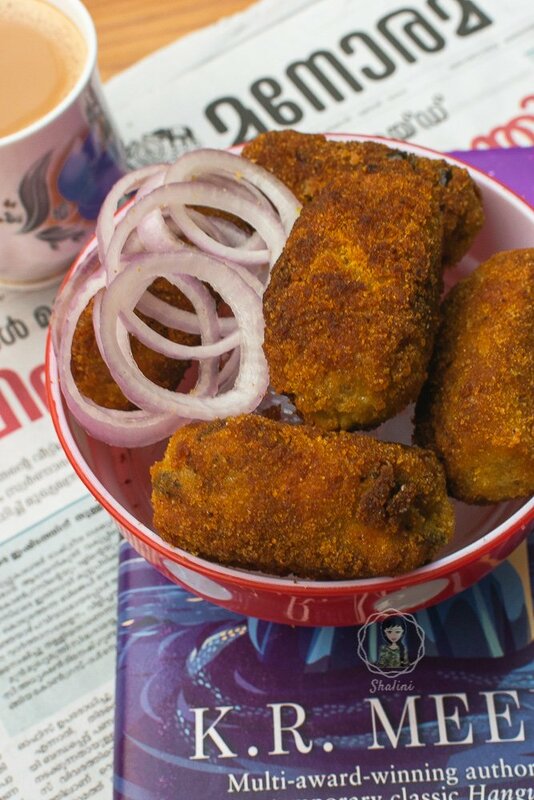 Apart from being a regular tea-time snack, cutlets especially Fish cutlet is served as appetizers for a party as well as on Christmas feasts. You can find these at Kerala Christian Wedding menus too. Made with fish, potatoes, and spices, the cutlets are coated in beaten egg and breadcrumbs before deep frying to golden perfection. One can shape the cutlets in any form they want. Use a cookie cutter to form heart-shaped ones or roll to make bite-sized rolls. You can even make it into a round or oval shapes. Cooking fish cutlets is similar to chicken cutlets. One should use meaty/fleshy fish chunks for making them. The best fishes for this recipe would be Tuna (Choora) or Bluefin Trevally (Vatta in Malayalam) but you can also use Kingfish, Mackerel or Salmon too. Make sure that you remove all the fish bones before adding the fish to the rest of the ingredients. Steam or cook the cleaned fish pieces in a little water with salt and turmeric powder. Meanwhile, prepare the cutlet mixture by sauteing finely chopped onion with ginger, curry leaves, turmeric powder, and garam masala. Shred cooked fish and add it to the above mixture. Saute and let it cook for a couple of minutes. Add boiled and mashed potatoes and mix well. Cook for a few minutes more so that spices are well subsumed. Once cooled down, let’s shape and bind the cutlets. Take a small portion of the mixture and make the desired shape. Dip in a beaten egg and then coat well with breadcrumbs. Deep fry until golden. Steam or cook the cleaned fish pieces in a little water with salt and turmeric powder. In a pan, add coconut oil. Saute onion, ginger, curry leaves, turmeric powder, and garam masala. Shred cooked fish and add it to the above mixture. Saute and let it cook for a couple of minutes. Cook for a few minutes more so that spices are well subsumed. Once cooled down, let’s shape and bind the cutlets. Take a small portion of the mixture and make the desired shape. Dip in a beaten egg and then coat well with breadcrumbs. Relish the cutlets with pickled onion, beets and ketchup. Do not have breadcrumbs? Use coarsely ground corn flakes! I used that! Instead of mashed potatoes, I grate the boiled potatoes to avoid any lumps. I do not like biting into chunks of potatoes in a cutlet. Serve the cutlets with pickled onions, beets, and tomato ketchup. Have you had Kerala style cutlets? Have you made it at home? I love Fish Cutlets (almost as much as I love Chicken cutlets, which is saying a LOT 😀 ) and these look so tempting! Yum! They look absolutely delicious, Shalini. Now you are talking. Fish cutlet and chicken cutlet they are so yummy! 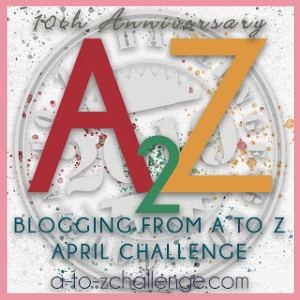 My father used to love them – Nice recipe and pics.